This week I introduced the letter ‘t‘ to my darling daughter Abbie. 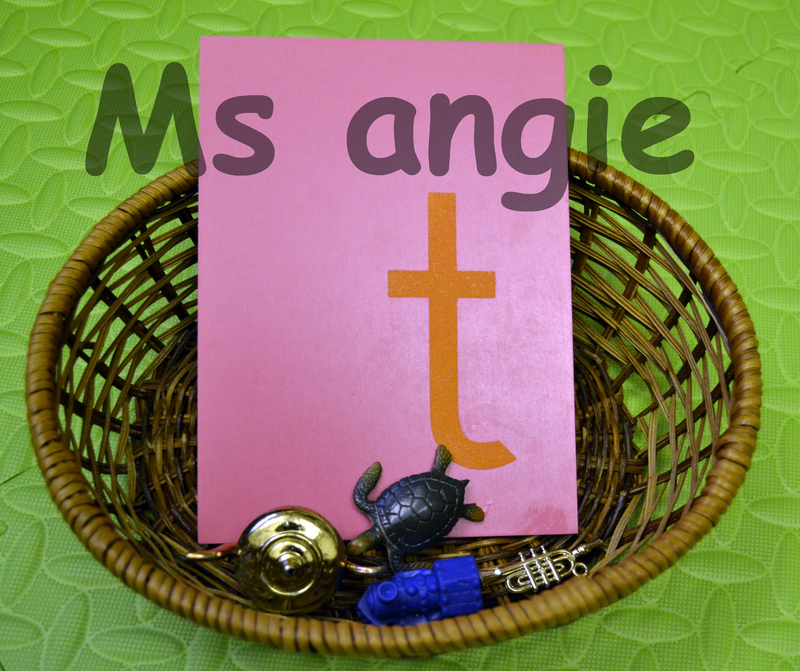 I put all the things I have related to the ‘t’ sound in the basket. Then I took Abbie to the shelf where the material was kept and I placed the basket on the mat. 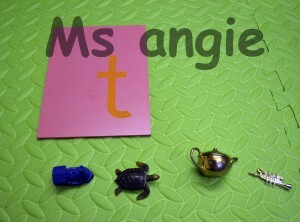 /t/ is the sound of letter t.
I also show the small objects which begin with the sound /t/.Then I introduce to Abbie one by one. Moreover, I brought Abbie in front of the table, television and telephone which are household objects begin with the sound /t/ and I say the name of those objects.